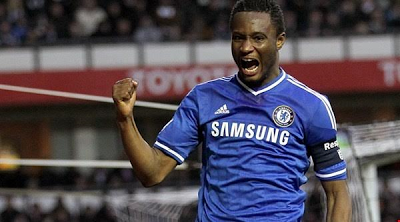 Chelsea and Nigeria midfielder John Obi Mikel wants to be the top scorer in the English Premier League this season. Yesterday marked the third year he scored his first goal in the EPL when he hit target in the 84th minute in Chelsea’s 2-0 win over Fulham. 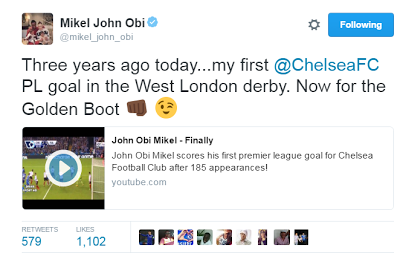 “Three years ago today...my first @ChelseaFC PL goal in the West London derby. Now for the Golden Boot .